George Edward Smith (né Haddad; born January 27, 1952) is an American guitarist. He was the lead guitarist for the duo Hall & Oates during the band's heyday from 1979 to 1985. He then served as the musical director of the sketch-comedy show Saturday Night Live from 1985 to 1995, where he was the leader of the Saturday Night Live Band. His own albums include In The World (1981), Get A Little (with the Saturday Night Live Band, 1993) and Incense, Herbs and Oils (1998). Smith was the lead guitarist for the band Moonalice from 2007 to 2009. Smith has performed and recorded with many artists. He played guitar in Roger Waters' The Wall Live tour, and was lead guitarist in Bob Dylan's touring band 1988 to 1990. Smith also served as musical director of Dylan's The 30th Anniversary Concert Celebration at Madison Square Garden on October 16, 1992. His band provided entertainment at the 2012 and 2016 Republican National Convention. Smith was born January 27, 1952, in Scranton, Pennsylvania, as George Edward Haddad, a Syrian-American whose last name means blacksmith in Arabic. He started playing guitar at the age of 4. In 1959, at the age of 7, he was given a C. F. Martin guitar. On his 11th birthday Smith's mother bought him his first electric guitar, a Fender Telecaster, a model that dated to 1952, his birth year. By then he was already earning money as a musician, playing in numerous venues such as Poconos resorts and high school dances. In the early 1970s, Smith left the Poconos for the New Haven, Connecticut area, where he played in a group called the Scratch Band, which also included his future Hall & Oates bandmate Mickey Curry. In late 1977 Smith got his first break, with Dan Hartman, fresh off his hit "Instant Replay". He hired the guitarist to front his band for a "lip-sync tour" of Europe and the U.S. Upon his return to the East coast, Smith moved to Manhattan and became the guitarist for Gilda Radner's 1979 Broadway show Gilda Live. Radner and Smith became friends and married shortly afterward, divorcing in 1982. In 1981 he released his first solo album, In the World, with Paul Simon and Radner singing backup on the album. During this same period, Smith was hired to play lead guitar for Hall & Oates. He stayed for six years (1979–85), consistently touring and recording with them, with songs such as "Private Eyes", "Maneater", "Kiss on My List" and others. "It was insanely fun," he recalled. "We were so big that one year, we decided we would perform during summer – all year 'round! We toured the northern hemisphere in the summer and the southern hemisphere during New York's winter." Another event was the Live Aid and Farm Aid benefit concerts in mid-1985. During the Philadelphia portion of Live Aid day (the main Live Aid show was in London) the Hall & Oates band ended up being the house band. Smith ended up being the de facto music director for a lot of the show, as his band backed Mick Jagger, Tina Turner and others. When Hall & Oates decided to take a long break from the music scene, Smith was chosen to be musical director for Saturday Night Live. Smith knew Howard Shore, the show's original musical director, and producer Lorne Michaels from his relationship with Gilda Radner. Leading the SNL band for 10 years (1985–1995) Smith won an Emmy Award. "I definitely grew a lot from playing with those world-class musicians, especially the horn section. I really had to learn to play in time and in tune. It was a great education." Smith was joined by bassist Tom "T-Bone" Wolk, Smith's colleague in the Hall & Oates band. In 1992 he recorded his second album, this time with the Saturday Night Live Band entitled Get A Little. The SNL roster of guest musicians included Eddie Van Halen, Keith Richards, Rickie Lee Jones, Al Green, Bryan Ferry, David Gilmour, Lonnie Mack, Dave Edmunds, Johnny Winter and Buddy Guy. The Buddy Guy visit eventually resulted in the 1996 Grammy-nominated Buddy Guy – Live CD, with Smith and the SNL band. SNL also provided Smith with a songwriting opportunity when Mike Myers asked him to help write a tune. "Mike had this bit, called Wayne's World, and he needed a theme song. Aerosmith was the musical guest that week, so Mike and I sat down and wrote a song that Aerosmith could sing and play along with." Wayne's World became a hit film, the soundtrack (and song) a platinum-selling smash hit. In the midst of his SNL tenure Smith toured for almost two and a half years with Bob Dylan during the "Neverending Tour" from 1988 until October 1990. During his SNL years Smith was the musical director for special events such as the 1988 Emmy Awards, the 1993 Rhythm and Blues Foundation Awards, Bob Dylan's 30th Anniversary Concert at Madison Square Garden as well as acting as the musical director at the Rock and Roll Hall of Fame Concert in Cleveland. Smith also has written with his friend and fellow musician Jimmy Buffett. "Six String Music" appears on Buffett's album Fruitcakes. Following his departure from Saturday Night Live in 1995, Smith and his wife, Taylor Barton, created the record label Green Mirror Music. Smith released his next CD Incense Herbs, and Oils in 1998. Between live dates, he has been the musical director and band leader honoring Bob Dylan and Willie Nelson at the Kennedy Center Honors in Washington, D.C. He also led bands for The Muddy Waters Tribute, and the 1998 and 1999 Mark Twain Awards honoring Richard Pryor and Jonathan Winters which aired on PBS, and Comedy Central. Another highlight of Smith's history was hosting an interactive show on the electric guitar over the internet, on NPR, and a live presentation at the Smithsonian Institution. 1999–2000 brought Smith back to SNL, appearing in the 25th Anniversary show and other guest appearances. He was featured on VH1 in the history of SNL, and hosted the New Year's Eve bash inaugurating the new Rose Center for Earth and Space (formerly the Hayden Planetarium). In recent years Smith has been a regular instructor of electric guitar at Jorma Kaukonen's Fur Peace Ranch. In the early to mid-2000s, Smith played at Cleveland Browns Stadium at Browns home games, along with a band. They would play during game timeouts. In 2005, Smith and his band appeared on the Comedy Central Roast of Jeff Foxworthy and did a performance with the band Bama. Smith has played with a broad spectrum of artists, from Red Buttons to Allen Ginsberg, from Desmond Child to Bob Dylan. "I've had an incredible ride in the world of rock 'n' roll and American music," says Smith, looking back over his career. Smith toured with the band Moonalice, acting as their musical director. In February 2011, Smith was on tour with Hot Tuna, appearing as "Hot Tuna Blues". Charlie Musselwhite and Jim Lauderdale were also on the tour, and all three musicians perform with Hot Tuna on certain songs. In their February 18, 2011, performance, Smith came onstage during the opening acoustic set and remained to play the rest of the evening. He played a vintage Gibson J-200 in the acoustic set and an early '50s Fender Telecaster in the electric set. Smith toured with Roger Waters during the 2010–2013 tour The Wall Live. On December 12, 2012, he performed with Waters at Madison Square Gardens for The Concert for Sandy Relief. In August 2012 Smith performed for the Republican Party and Mitt Romney at the 2012 Republican National Convention in Tampa Bay, Florida, as the convention's house band. However, Smith said that he is not a Republican or political and saw the event as "just another job". Smith was one of the many guests appearing on the NBC Saturday Night Live 40th Anniversary Special, on February 15, 2015. In July 2016, Smith again led the house band for candidate Donald Trump at the 2016 Republican National Convention in Ohio. Smith has performed with Jim Weider – formerly of The Band and member of The Weight Band – on their "Masters of the Telecaster" series. On his 11th birthday Smith got his first electric guitar, a Fender Telecaster bought by his mother; the guitar, which he still owns, was made the same year he was born (1952). Over the years his collection of instruments has grown and includes a large number of vintage guitars, amplifiers and lapsteel guitars with Fender representing the majority of his collection. In January 2007, Fender issued the G.E. Smith signature Telecaster in honor of Smith's reputation as a modern master of the Telecaster. His signature guitar is based on a 1950s Telecaster with a cut-off bridge plate and the bridge pickup mounted right to the body, a feature normally found on Champion lap-steels from the late 1940s, as well as the 'Oval and Diamond' fretboard inlays on the guitar's neck. The neck is made out of maple and is based on measurements from some of Smith's personal favorite Fender necks which Fender calls the 'Special Extra Deep "U" Shape'. The guitar is available in 'Honey Blonde', 'Black' and 'Dakota Red' cellulose finishes. "What I've tried to do over the years, and in particular with this guitar, is to make it capable of being really fat-sounding, as well as doing all the chicken-pickin' and the classic Telecaster things that you think about. But with that pickup in the wood like that, you get this resonance and this fattened-up lower end and low midrange that's really cool. As long as somebody's willing to do the digging in that you've got to do to play a Telecaster anyway, it really responds, and that's something I'm really happy with." Smith was married to Gilda Radner (1980–1982) and has been married to Taylor Barton since 1990. ^ "Another 'Snl' Shakeup Note: Long-time Bandleader Bopped". NY Daily News. August 28, 1995. Archived from the original on February 4, 2012. Retrieved July 17, 2014. ^ Radner, Gilda. It's Always Something. New York: Simon & Schuster, 1989. ^ "G.E. Smith on touring with Bob Dylan - EMMYTVLEGENDS.ORG". Archive of American Television. October 5, 2015. Retrieved February 1, 2017. ^ "Roger Waters Jams with G E Smith". Relix. ^ "Convention Bandleader G.E. Smith Not A Republican — Or Political At All". TalkingPointsMemo.com. Retrieved January 19, 2018. ^ Alberts, Sheldon (August 31, 2012). "Former 'SNL' band leader wasn't playing politics in Tampa — just his guitar". TheHill.com. Retrieved January 19, 2018. ^ "G.E. Smith Talks Bass, Republicans and Performing with Roger Waters". ^ "MASTERS of THE TELECASTER " featuring: JIM WEIDER , GE SMITH and ANDY POWELL - Tickets - The Heights at Brother Vic's - South Salem, NY - July 14th, 2017". Ticketfly. Retrieved January 19, 2018. ^ "An Eco-Rock Odyssey From Taylor Barton - The East Hampton Star". easthamptonstar.com. 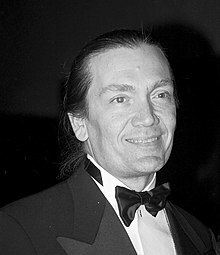 Wikimedia Commons has media related to G. E. Smith. This page was last edited on 7 April 2019, at 06:57 (UTC).